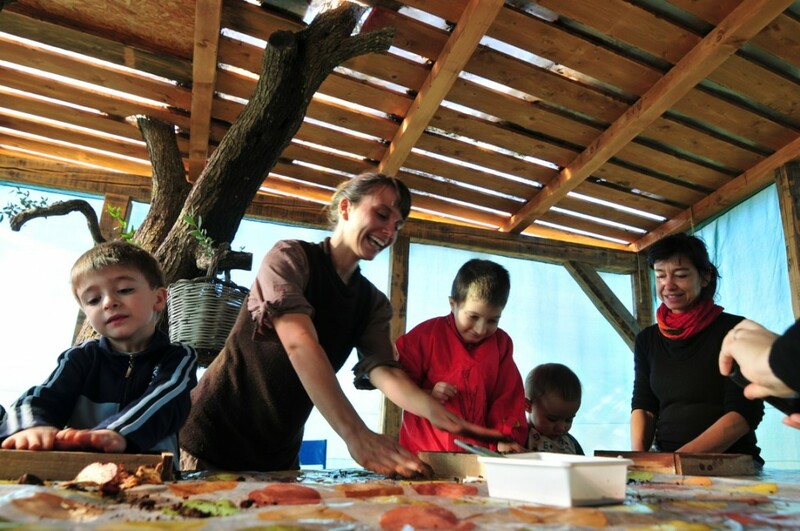 Casina Settarte is a perfect venue for workshops and educational courses for children and young people. The wide open spaces such as the large ‘Mushroom Farm’ dance studio, the ‘Kitchen-lab’ and the Geodesic Dome lend themselves perfectly to become classrooms for exciting developmental and learning activities. These multipurpose, flexible spaces can host a range of activites with large of small groups of young people. There is an incredible biodiversity over the 3 hectare site which comprises of a vegetable garden, organic orchard, a bio-lake microsystem and various eco-structures as well as wild growing native plants and trees. Education courses are designed around these important local features and can also include information on medicinal plants, Mediterranean herbs and other specific areas of interest. The objective of this work is to create a new awareness of nature around us, as a space to move in, a vital resource to understand and explore to discover cures and solutions and as a valuable font of inspiration for a new creative sustainability.